In the case of a mass disaster many important issues have to be addressed. 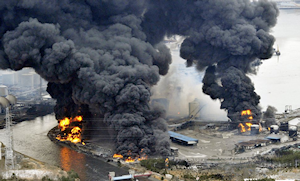 An airplane crash, a tsunami or terrorist attack puts public directors and law enforcement into the spotlight where they have to restore public order and ensure public safety, investigate the causes and if applicable punish the perpetrators. 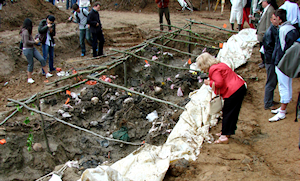 A task of large public value—for legal as well as humanitarian reasons—is the recovery and identification of the remains of the victims. Families yearn to know whether the victims are their loved ones. They demand from the government that it will do its utmost effort to identify and hand over the remains so they can start the mourning process and give the unfortunate loss a place in their lives. Disaster victim identification (DVI) is greatly facilitated by the advent of modern DNA technology. Forensic laboratories worldwide are able to extract and record DNA samples profiles from the tiniest samples. DNA has made it in principle possible that matches can be made and victims can be identified. Identifying victims with reported missing persons is complicated by the absence of relevant DNA material. DNA samples are in this case usually obtained from indirect sources (family members). Linking victims with their closest relatives instead of their own DNA is much more difficult since they share some of their DNA but not all. In the case of a mass disaster this is complicated further because complete families sharing their DNA can be involved. Facilitating this task will put the attention of public officers and law enforcement where it should be: to the victims and their families. As this problem was promptly recognized by the Dutch Ministry of Justice and Safety, The Netherlands Forensic Institute (NFI) was given the task to develop a computer assisted Disaster Victim Identification system. The requirements were high from the start. It had to be designed for large scale incidents where large numbers of samples would have to be matched promptly and reliably. Samples from very different sources had to be used: e.g. bodily remains as well as data from (inter)national DNA databases. The time it takes for identification as well as the chance of a wrong match had to be minimized. For this the process of collecting, handling and matching of the DNA samples was redesigned. Two parts in this design were essential. The first part of the solution was the ability to handle massive amounts of DNA samples with a short throughput time per batch in the order of days. The second part was the development of Bonaparte, a unique software application that does the matchmaking in minutes instead of months. By order of and in close collaboration with the NFI, Bonaparte was developed by Smart Research, a subsidiary of SNN at the University of Nijmegen. By using an automated system, human error has been eliminated. Bonaparte uses state-of-the-art mathematical probabilistic (Bayesian) methods by which not only direct matches can be made but also the much more difficult indirect family matches using DNA from family members. The models implemented in Bonaparte are well documented and available to end users. Bonaparte uses statistical graphical models; the so-called Bayesian networks. The Bonaparte system is also validated. 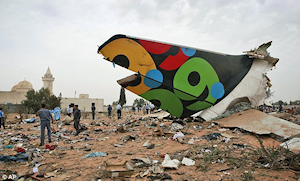 Afriqiyah Airways flight 8U771 crash on May 12, 2010 in Tripoli, Libya. Bonaparte DVI was used to identify all victims of this crash.